HAMBURG -- Volkswagen Group expressed "regret and concern" on Friday over the imposition by the U.S. of tariffs on imports of steel and aluminum from the European Union, urging a return to dialogue on a transatlantic trade deal. "We fear that this could mark the start of a negative development of measures and counter-measures from which no-one will emerge as the winner," the German automaker said in a statement. 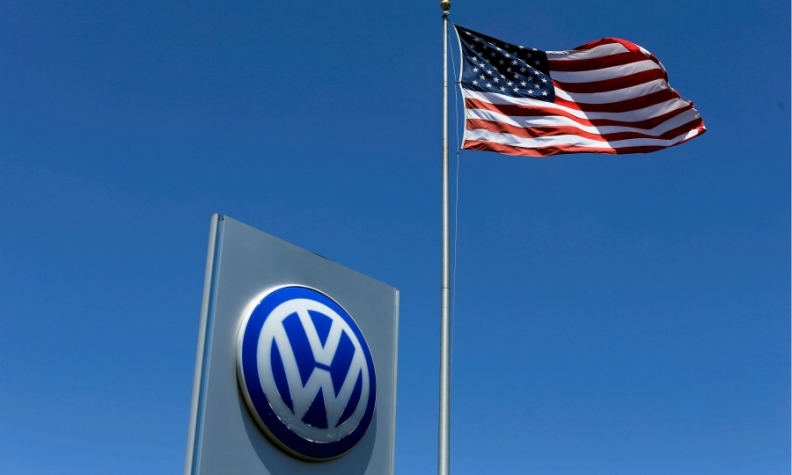 "Volkswagen would greatly welcome a resumption of talks on a transatlantic trade agreement between the USA and EU that would reduce bilateral trade barriers." The comments came as Germany's Economy Minister, Peter Altmaier, said on Friday he hopes a decisive response from the EU on to new U.S. tariffs will make President Donald Trump rethink his decision to impose levies on steel and aluminum imports. "We hope that the European response will result in a process of reflection in the USA," Altmaier told German broadcaster ARD, adding the EU may look to work with Mexico and Canada on trade, also hit by the new tariffs.